Despite the money poured into focus groups every year, outside of the iconic “I Love New York” line and the remembered-yet-mocked “Virginia is for lovers,” there are few tourism slogans that stick. Bumper stickers with a prospective tourism tagline for the state were passed out at last week’s meeting of the Nevada Tourism Commission. Don’t worry, it’s a joke. No one is seriously considering that line. The bumper stickers were sent to the state by author Jim Gilmore, who made a presentation at the Tourism Commission’s “Rural Roundup” event in April at Lake Tahoe. He noted the state’s efforts to brand itself — a difficult task, considering the diverse nature of Nevada. As all of us who live here know, Nevada is many things to many people. It is mountain vistas and desert landscapes. Glitzy entertainment extravaganzas and ghost towns. Pampering spa experiences and extreme sports adventures. 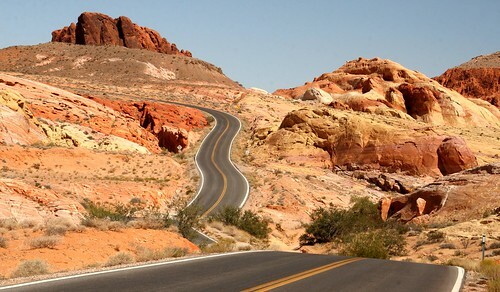 Cruising casinos and road-tripping to wide-open spaces. It’s a monumental task for someone to develop a catchphrase that incorporates that personality without stepping on someone else’s copyrights. But Seattle-based GreenRubino was contracted by the state to try. Last month, the Tourism Commission’s marketing committee met and talked about some of the finalists under consideration. Predictably, the public response was less than glowing. Among the taglines being considered: “ReiNVent,” with the state’s NV postal code in it; “All in Nevada,” playing off poker terminology with the phrase that means being fully engaged (stated differently, it could refer to the variety of things to see and do here); and “Nevada is for Doers,” playing off the GreenRubino team’s early research that indicated people like the state because there’s so much to do. Marketing committee members wanted to have the conversation among themselves so they could bounce the ideas off each other without hearing the inevitable public criticism that would emerge over concepts that are not fully developed. But they couldn’t because the open-meeting law requires them to meet in public. When I reported on the marketing committee’s session, readers tore into the taglines, ignoring Lt. Gov. Brian Krolicki’s cautionary statement that work on the phrases wasn’t finished. It was hard to tell whether people were madder about the fact that a Nevada company didn’t get the contract (GreenRubino won it in an adjudicated request for proposals) or that the company’s work was going to cost nearly $250,000. But coming up with a clever branding theme and catchphrase isn’t about tossing out a few ideas over beers. To do it right requires research, sitting with customers and gathering their perspectives to deliver a message that resonates. Locals need to remember that the objective is to find a theme that works to attract prospective visitors, not our perceptions about what the state means to us. I’ve heard numerous accounts about how R&R Partners found its way to developing “What happens here, stays here” for the Las Vegas Convention and Visitors Authority and how much work it involved. When the state began its effort to develop a brand for Nevada more than a year ago, I had a little fun and invited the area’s amateur marketers to submit ideas, which I then sent off to the Tourism Commission. GreenRubino began its work last fall. Representatives interviewed tourists, conducted focus groups and developed a profile of the prototypical Nevada visitor. Remember, people who visit the rural parts of the state aren’t necessarily the same ones who come to Las Vegas. Now, the work is almost done. A team led by Burson-Marsteller is waiting in the wings to sell the theme to target markets and take advantage of Nevada’s lead in mobile marketing. The Johnny-come-latelys who think they’ve got a better branding idea are about nine months late. Don’t get me wrong. The state shouldn’t trot out a branding theme if it isn’t right. But the commission is populated with people who have done this kind of thing before. Rossi Ralenkotter, acknowledged as one of the nation’s best tourism marketers, is among them. The public needs to trust the commission’s collective judgment and get behind the effort. A good message will be chosen, or the commission will send GreenRubino back to the drawing board.